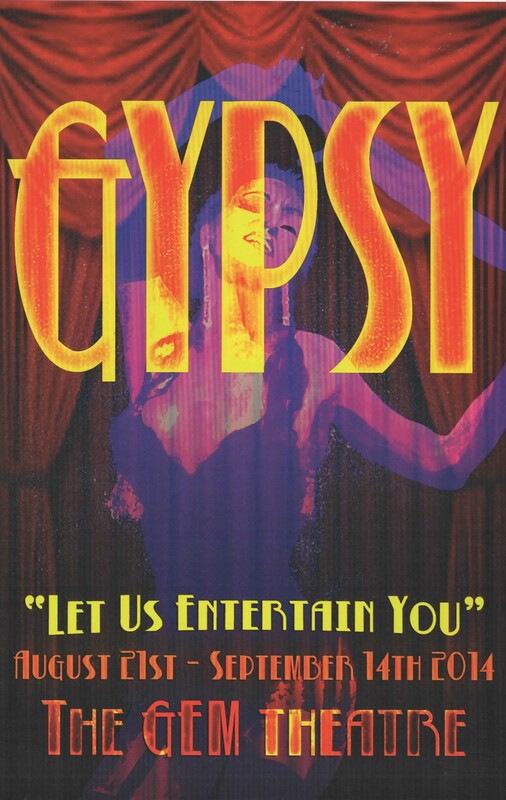 “One More Productions” Presents “Gypsy” August 21-September 14, 2014 At “The Gem Theatre” In Garden Grove CA. 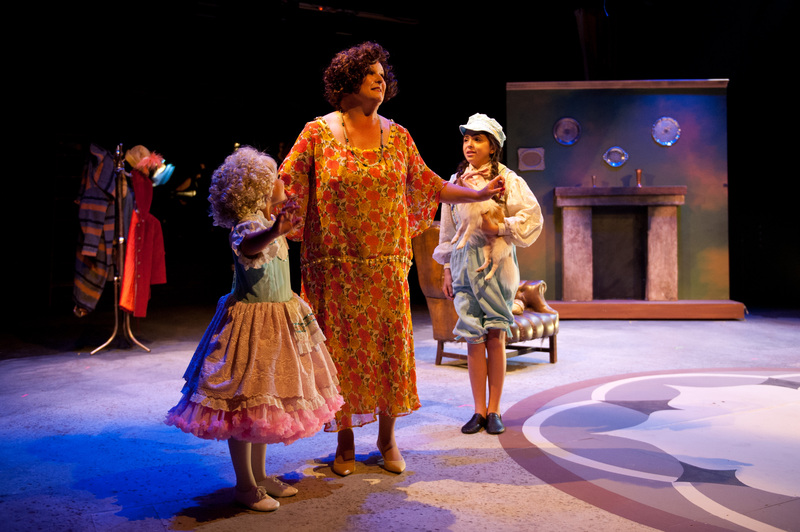 Everything’s coming up roses for “One More Productions” housed in Garden Grove California’s historic “Gem Theatre” with the third musical production in their momentous season–the classic “Gypsy”. Based on the 1957 memoirs of the legendary burlesque entertainer, Gypsy Rose Lee, with a book by Arthur Laurents, music by Jule Styne and lyrics by the then brash young newcomer, Stephen Sondheim, the show is considered one of the crowning achievements of the musical theater art form with many of the songs having long since become bona fide standards. It is especially fitting that “The Gem’s” resident company chose to produce this particular show at this particular venue, seeing that the playhouse originally began its life back in the 1920’s as the areas’ one theater devoted to that once thriving brand of stage entertainment known as “Vaudeville”. On opening night “One More Productions” co-founder and producer Damien Lorton (who also served as the production’s director,) professed, “To bring this vaudeville show alive in a vaudeville theater is especially thrilling”, and he’s exactly right—there’s a rare sense of magic and history flowing though this particular production of this priceless audience favorite. Curtain up and we’re at an audition for “Uncle Jocko’s” kiddie stage show in Seattle Washington, where that 3’3” bundle of dynamite “Baby June” and her sister Louise are trying out for a spot on that week’s bill. They scarcely begin their number when in rushes their brassy bulwark of a stage-mother, “Rose” admonishing the girls to “Sing Out Louise! Smile Baby!” In fact, the first act primarily focuses on Rose (whose name has become synonymous with the ultimate overbearing show business parent,) following her single-minded efforts to turn the girls into vaudeville stars—no matter the cost! This includes forming an act—“Baby June and her News Boys”, starting with two lads, which quickly grows to four when they become “Dainty June and her Farm Boys” as the group hits adolescence. When June runs off and marries one of the boys, leaving mom, sister, and company flat, Rose (still determined that at least one of her daughters will ‘hit the heights’) turns her attention to Louise—her less talented, though ever patient offspring. 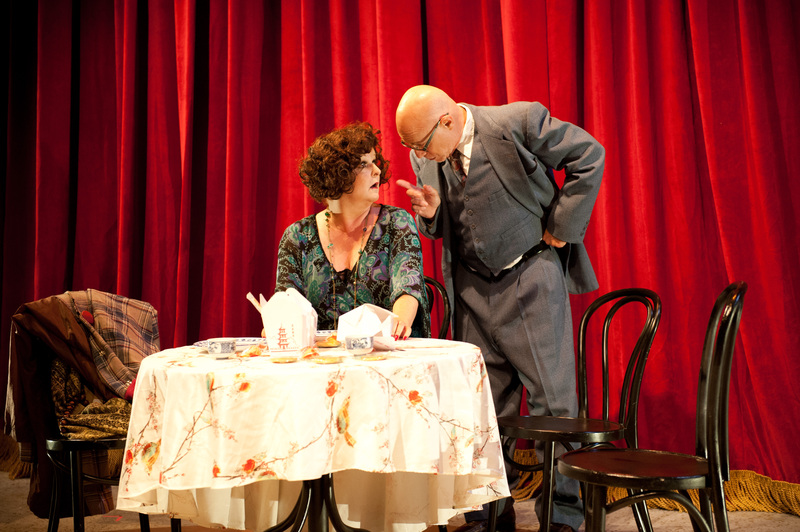 The second act’s emphasis is more on Louise’s (at first) unintended transformation into the ‘strip-tease artiste extraordinaire’ “Gypsy Rose Lee, and more specifically, her need to finally get out from under her mother’s heavy-handed thumb. 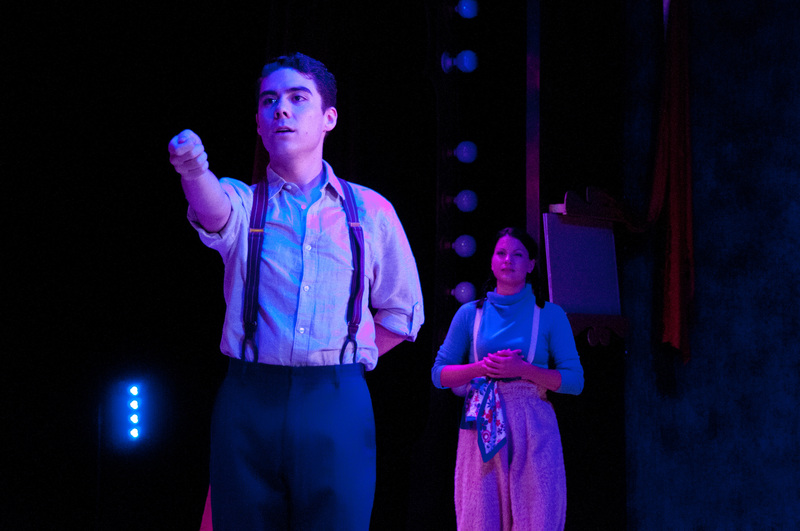 Lorton’s finely paced direction explores the psychological depth of these characters, approaching this as more of a “play with music” rather than your standard ‘musical’. Not that the actual songs and dance-numbers have been neglected though—far from it! Adroitly supercharged by Shauna Bradford-Martinez’s often-dazzling choreography, each one effectively either moves the plot forward, provides acuity into the characters, or glitteringly casts light on a bygone ‘show biz’ era. In the first act, scene changes are cleverly indicated with the appearance of Lexi Cross and Keresy Dillon as sultry “twin” showgirls who each place ‘act cards’ (once a staple of the stage world) on either side of the proscenium; after intermission, these duties are taken over by two studly men—Danny Diaz and Tim Miller respectively, who subsequently ‘dress down’ a bit more with each successive appearance. Leading the multi-talented cast are Beth Hansen and Nicole Cassesso—both of whom are very much in touch with their character’s vulnerabilities. As Mama Rose, Hansen offers up far more than the all-too-common over-blown caricature or ‘star turn’ this role is famous for; instead, she presents a human, believable Rose—hence a far more fulfilling one. Indeed, the true brilliance of her performance lies in the softer, more emotionally exposed moments. 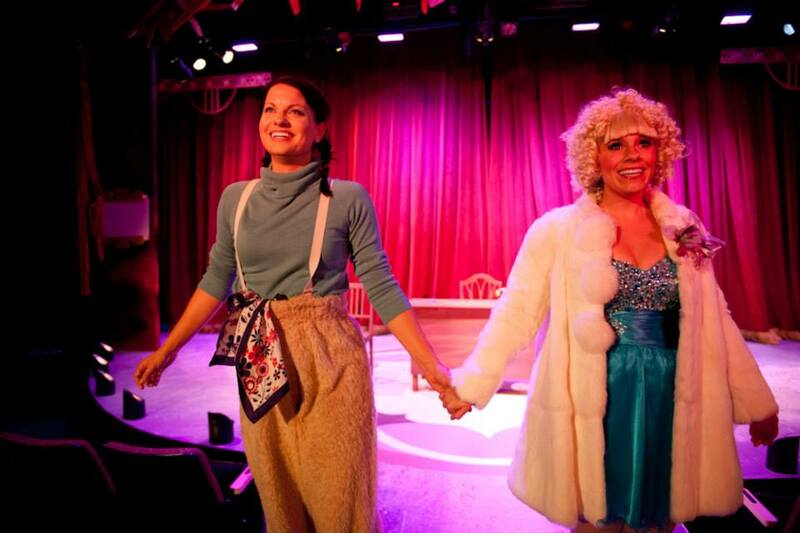 Her opening salvo, “Some People”—Rose’s act one declaration of independence, is energetic but determined, while her duo “You’ll Never Get Away From Me” has just the right touch of playfulness to make it endearing. At the first act’s conclusion, she unleashes her full vocal firepower with the iconic “Everything’s Coming Up Roses” demonstrating exactly how overwhelmed and desperate this lady is over her youngest’s betrayal. 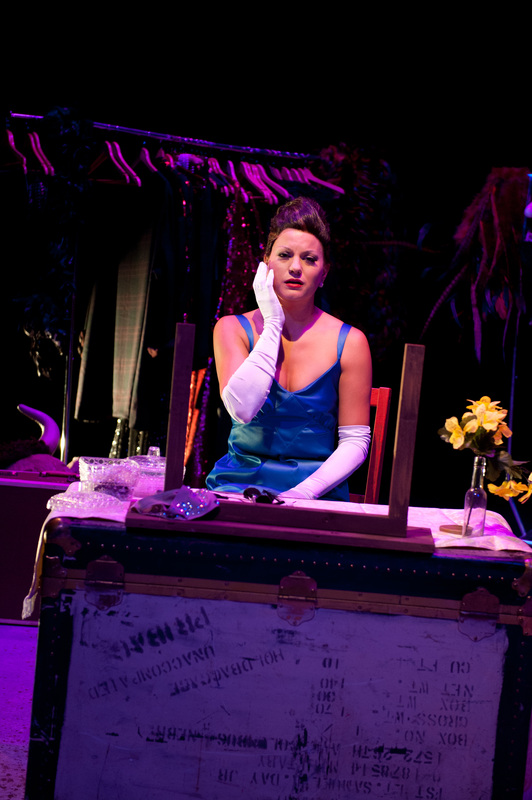 However, it’s with the pivotal “Rose’s Turn”– one of the most forceful and finely-crafted musicalized monologues in the entire musical theater canon, that Hansen decisively proves she’s nailed the cognitive complexity of this woman, who after a lifetime of abandonment is really just a wounded child herself. (“What did it get me? !” she wistfully intones, feeling used and discarded; “One quick look as each of them leaves you!”) Seething with defiance, this is essentially a mental breakdown with notes and chords on top, and we are given it in all its potency and poignancy—as heart-stopping as it is heart-wrenching. Afterward, even Rose’s concluding lines are way more than just a space between the final number and the curtain-call, making the ending truly unforgettable. Likewise, Nicole Cassesso does an awesome job in the title role. Insightfully soft-pedaling her presence in the first act, this makes her act two transformation all the more astounding. Her solo, “Little Lamb” especially strokes the heart-strings, while her second act showcase, “The Strip” is both the longest running musical sequence as well as the show’s most surreal. Unfolding almost like a dream, it details Louise’s evolution from an awkward teen into Super-star Stripper, “Gypsy Rose Lee”. Rounding out their ‘trio’ is Glenn Koppel as “Herbie”–the act’s would-be agent and Rose’s love interest who “stands up FOR her, instead of standing up TO her!” More than just Rose’s foil though, Koppel’s portrayal is similarly fleshed out and genuine, depicting a man who understands Rose on her deepest level, which is why he puts up with so much from her until he can no more. Other standouts include little Shayna Gayer, who’s an acrobatic powerhouse with a humongous voice (—and she’s cute as a button too!) Although only on stage for a short time, she excels right from the get-go in the opening, “Let Me Entertain You” as well as when introducing her “Newsboys”. In addition, young Sophia Scarsi is equally laudable as her sister, “little” Louise holding her own with a quiet sensitivity that nicely lays the foundation for Cassesso’s later take on the more mature persona. Tad Fujioka too, is a marvel to watch as “Tulsa”—one of June’s ‘boys’ who secretly longs to be a night-club star himself. He interjects a terrific jolt of song-and-dance pizzazz with the rousing, “All I Need Now Is The Girl”—accompanied by the shy “Louise”, who mirrors his moves near, but not quite ‘with’, him until the very end of the number. Together, they make this boisterous interlude a surprisingly tender one. 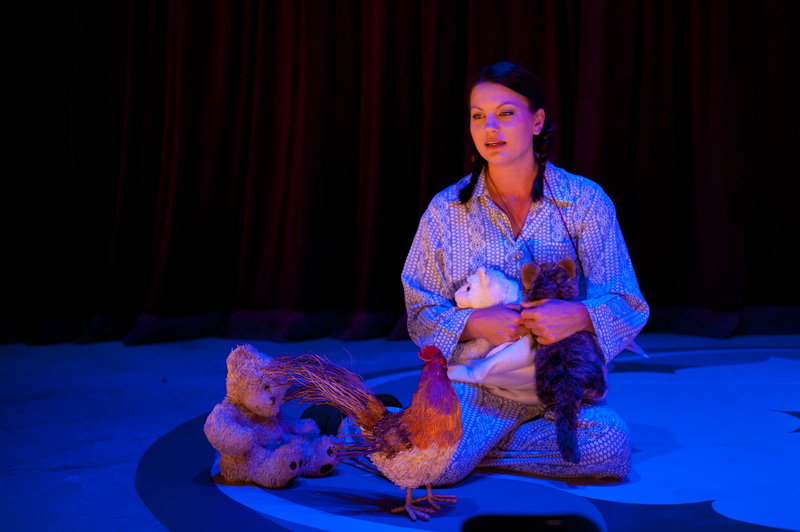 Cassesso also scores yet another dual ‘direct-hit’—this time opposite Elyssa Alexander as the perky “Dainty June”—with “If Mama Was Married”, wherein the siblings wearily dream of more peaceful days away from the spotlight. are available for Thursday and Friday performances.) The “Gem Theatre” is located at 12852 Main Street in Garden Grove, CA; for more information or to purchase tickets, call “One More Productions” at (714) 741-9550, ext. 225, or visit their website at www.onemoreproductions.com. Production Stills By Lisa Scarsi, Courtesy Of “One More Productions”; Special Thanks To Dan Pittman At “Pittman & Associates PR” (www.pittmanpr.com) And To Damien Lorton And The Cast & Crew Of “One More Productions” “Gypsy” For Making This Story Possible. 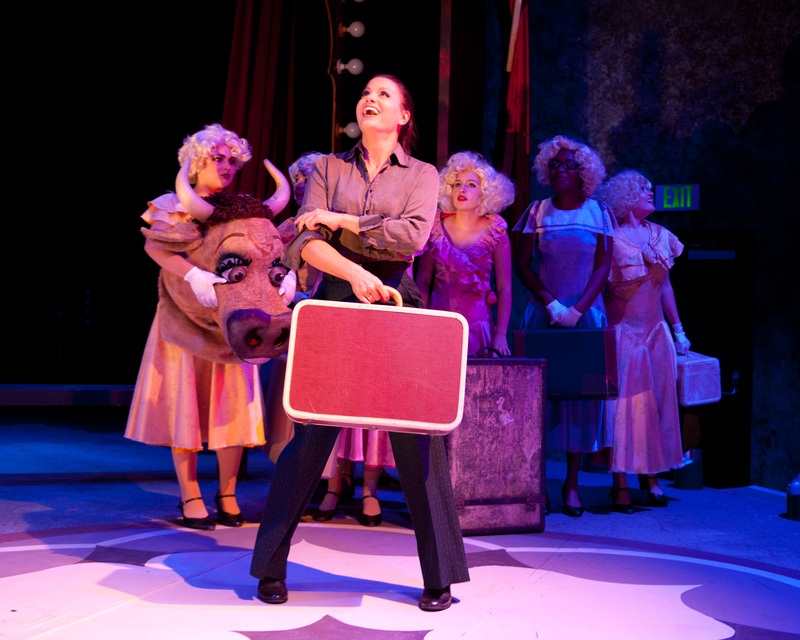 This entry was posted in Theater reviews, Uncategorized and tagged "Baby June And Her Newsboys", "Dainty June And Her Farm Boys", "Gypsy", "Let Me Entertain You", "Little Lamb", "Mama Rose", "Some People", "You Gotta Get A Gimmick", 1959 Tony Award Winning Musical, 2014 Southern California Theater Season, Arthur Laurents, Baby June, Burlesque, Burlesque Musicals, Classic Musicals, Damien Lorton, Garden Grove CA., Gypsy Rose Lee, j, Jule Styne, June Havoc, Nicole Cassesso, Old Vaudeville Theaters, One More Productions, Rose Louise, Stephen Sondheim, The Gem Theatre, Vaudeville. Bookmark the permalink.